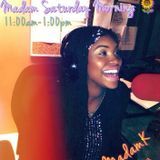 Madam Saturday Morning is a College Radio Show on WKRB 90.3 at Kingsborough College in Brooklyn, NY. 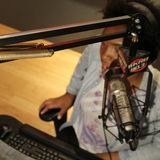 It&apos;s hosted by a student name Kenya Fredericks, known as DJMadamK. It&apos;s all about Pop Culture, News and Entertainment. She plays what&apos;s hot from Hip Hop, Pop, Dance, Soca and Dancehall. To listen to the previous shows go to to the playlist MSM! Check out the Facebook page Madam Saturday Morning.